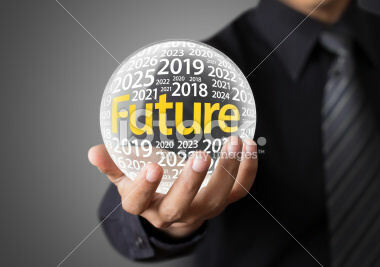 In this particular first of the subsequent blogs over viewing each of our predictions, we provide our readers a summary look of the general themes included in all ten of our predictions. An optimistic but cautious global economic outlook for revenue growth that comes with downside risks, possibly economic recession. Needs for across the board talent recruitment and retention efforts reaching alarming stages, possibly impacting ongoing initiatives. Cyber-attack risk and information security threats becoming inevitable with information safeguarding at all levels becoming mandatory. The multi-year transition to Digitally-Enabled Response Network capabilities continuing. Positioning for global online retail presence meeting the realities of geo-political and investor forces. The escalating geo-political landscape involving trade conflicts added tariffs, threats of increased business disruption will result in unprecedented global supply and customer demand network challenges that will occupy the attention of senior management at all levels, especially supply chain management. Global logistics, transportation and third-party logistics entities will finally confront the converging forces of industry business model disruption with a lot of process, technology and stakeholder implications. Final production and/or product assembly processes located closer to major customer concentrations. Increased investments in higher levels of manufacturing process automation and additive manufacturing techniques to provide more flexibilities in production siting among global regions. More supply network sourcing being shifted away from China to other Asia-based regions with specific countries or regions benefitting. Facility and technology investments in online customer fulfillment being prioritized and leveraged to move closer to customer concentrations to save on transportation and logistics costs. Global Automotive Industry and the complex and difficult transition toward producing more electrically powered and autonomous driving vehicles. Commercial Aerospace Industry and the ongoing challenges to scale-up volume production to meet multiple-year backlogs of orders. Consumer and Packaged Goods meeting the challenge of direct-to-consumer, rapidly changing consumer product choices and the continuing threats of added industry M&A driven disruption. High-Tech and Consumer Electronics Industry being caught in the crosshairs of China and U.S. tariff and intellectual property protections forcing tough decisions in the coming year. Also, the ongoing plateau of the smartphone market growth affecting industry influencer Apple and its supply network. Pharmaceutical and Like Sciences Industry and the impact of new industry disruptors such as Amazon impacting drug distribution fulfillment channels and pricing strategies. The bottom-line is that 2019 will once again challenge individual industry and globally based supply and customer demand networks with supply chain management teams in a constant state of supporting business change and risk mitigation needs. Our blog readers can anticipate a series of follow-on blogs that add additional context, detail and meaning to each of our ten predictions. At the conclusion of these unveiling series, we will be publishing a more detailed research report that will be available for complimentary downloading and reference. We encourage readers to take some time to ponder what to anticipate in the coming year and how you and your organization can best be prepared. Also, provide us your individual feedback as we highlight each of our predictions., along with what most concerns your organization in the coming year.